The need to feed an ever-growing global population combined with increasing demand for sustainable agricultural practices has generated a significant rise in demand for biopesticides. By responding concurrently to the interests of farming, forestry, and industrial sectors, biopesticides offer a considerable potential for utilization in sustainable agriculture. 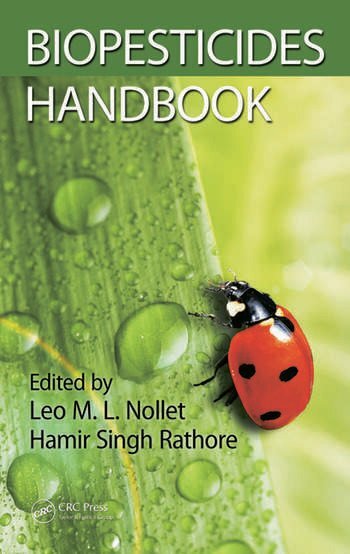 The Biopesticides Handbook details the benefits of biopesticides all along the food chain, offering a full spectrum and review of the range of organisms and organic products that may be used in the biological control of insects. Exploring not only the benefits but all aspects of biopesticides, the book discusses the uses and abuses of biopesticides that have been in circulation for more than 50 years, as well as more recent advances in this area. It describes the metabolism of these biopesticides and offers the best mode of action to prove environmental safety, detailing the present status of biopesticide residue in foodstuffs, soil, and water. The chapters review the regulatory schemes worked out by different countries and/or supranational authorities for biopesticides, the possible uses of pheromones, oil, plant extracts, wastes, and fungi as biopesticides. When all the features are added, the advantages of biopesticides in crop protection suggest that utilization of this class of pesticides can be a highly attractive proposition. In view of the potential environmental problems associated with the use of chemicals in crop protection, EPA and other agencies may consider establishing centers for large-scale production of biopesticides and for the training of the users (farmers) and suppliers. 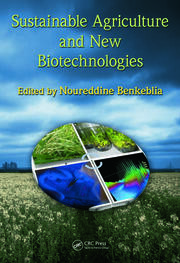 This book helps you select the appropriate biopesticides for your uses and explore future biopesticides and their uses. 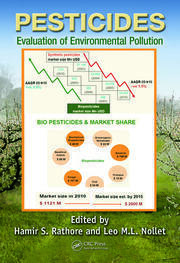 "This book will provide readers a critical point of view about biopesticides. In view of the potential environmental problems that may be associated with the use of some chemical in crop protection, the authors hope that biopesticides will be substituted for chemical pesticides where and when possible. 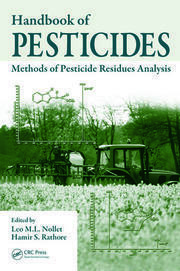 This book will help readers to select the appropriate biopesticides for use… "
"This handbook, international in scope, distills an amazing array of information about biopesticides into one very accessible resource, starting with an introduction that lays out the case for the use of biopesticides to promote crop vitality. … All of the chapters are authored by field experts. Figures and illustrations enhance the text, and an index facilitates searches within the volume. This essential resource is a necessary addition to academic libraries and will find wide use by students and researchers in a number of fields."